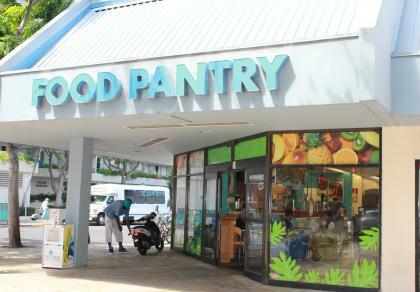 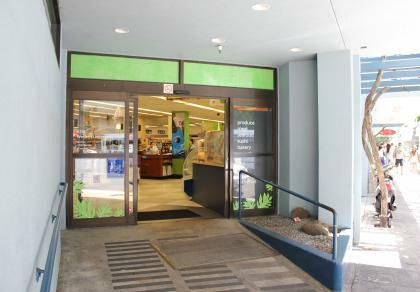 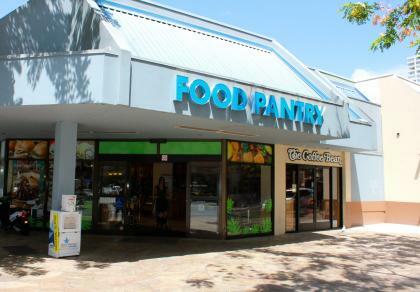 You'll find Food Pantry Kuhio on the corner of Kuhio and Walina St. located next to sister Company Coffee Bean and Tea Leaf and sister Company Food Pantry Express. 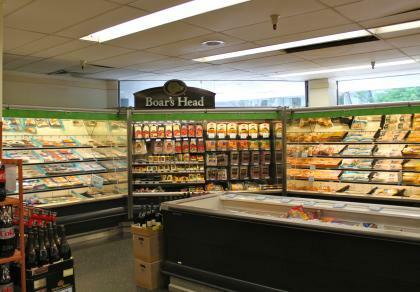 Visit all three locations for groceries, coffee and souvenir items! 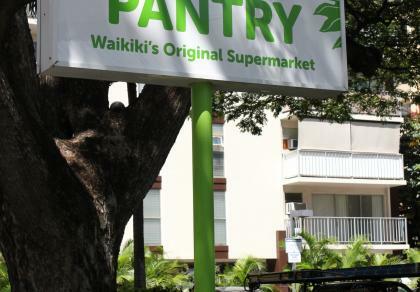 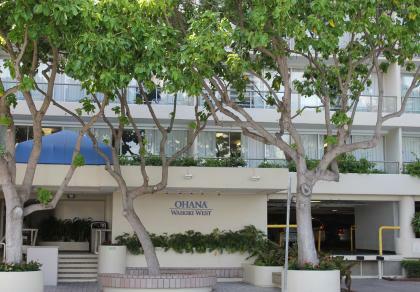 Conveniently located at both ends of Waikiki, our two Food Pantry markets (Food Pantry Kuhio and Villa Pantry) make stocking your condo or hotel room easy. 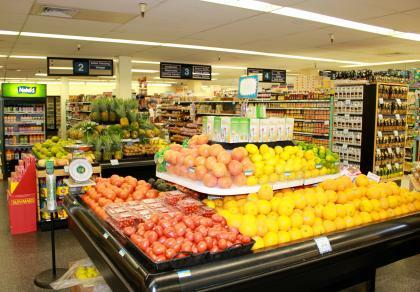 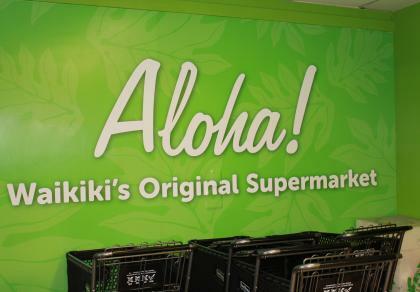 Whether you're interested in our exclusive Hawaiian Crown™ Sweet Gold™ pineapple, freshly made sushi, Huli-huli™ rotisserie chicken, macadamia nuts, prepared foods, or any other grocery items, our markets are sure to keep you full, clean and happy!